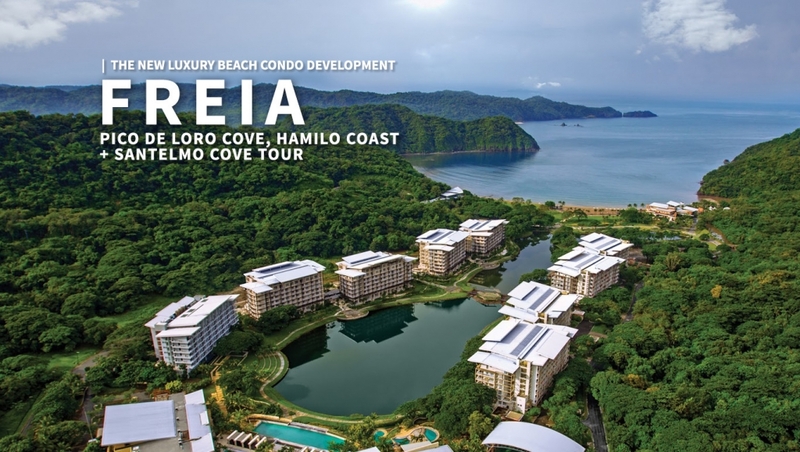 FREIA is a new beach condominium development in Pico de Loro Cove by SM Prime’s Hamilo Coast. The place is perfect for those urban dwellers who are seeking refuge from the harried pace of the city life. Having your weekend getaway would always be possible especially that the place is just a few hours away from Manila. 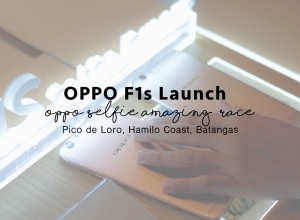 Highlighting the spectacular panorama of seas and verdant mountains, FREIA indeed provides the best vantage points looking out to the picturesque West Philippine Sea and the Pico de Loro mountains. Its prime location makes it just a five minute stroll away from the Pico Beach, which boasts of 1.5 kilometers of white sand and clear blue waters. FREIA will have in its roster 223 superior condominium units that includes spacious 2-bedroom flats and 3-bedroom penthouses. Each resort-type condo residences ranges from 67-392 square meters and are designed with sustainable living in mind. Common area of the condominium such as the lobby was interior designed by Budji+Royal with cutting edge local and international design concepts and high –quality fixtures giving residents a total luxury beach resort experience. Residents will also have an exclusive access to an outdoor pool, lounge deck, function rooms and lush pocket gardens. FREIA at Pico De Loro also takes pride in its features that allow sustainable green living and consider cost efficient operations. It includes natural ventilation and daylighting, photovoltaic roofing, and an efficient waste management system that ensures the reduction of carbon footprints on the part of the residential community. Unit membership at FREIA also comes with membership at the Pico de Loro beach and Country Club, giving homeowners a chance to enjoy a variety of recreational and sports facilities in Hamilo Coast. It was my second time visiting the place but still I felt that there are a lot of things I would need to try and learn about Pico de Loro. Pico de Loro is a private property, which means, if you are not a unit owner or a guest of someone who owns a unit (or guest by management), you wouldn’t be able to get an access or even try to stay at Pico Hotel. This made me feel lucky being invited to do an overnight stay at the hotel. I shared a room with travel blogger Marco Dennis. It was early when we left Manila. We arrived in Hamilo Coast, just in time for the last call for breakfast. What we did here wasn’t really an event but more on a short press conference and more on an experiential activity. After lunch and settling down on our rooms, Pico De Loro prepared a short activities for us to experience some of the things you can do at the Country Club. But before we proceed with my experience, let me share to you the water and recreational activities you can do at the cove. Pico de Loro Beach & Country Club is the perfect home base of water sports enthusiasts. Speedboats, kayaks, jet skis, and other water sport equipments are available for members and endorsed guest, while 50m and 25m pools are large enough for professional athletes to train in. Running, biking, and hiking trails about the Pico de Loro Cove. After time spent in the water, a broad range of land sports such as beach volleyball, basketball, and tennis can be enjoyed just a short walk from the beach. We weren’t really tried all of these but was able to pick just a few. A day of course wouldn’t be enough to enjoy everything, right? So on our afternoon activity, the organizers let us choose to either play basketball, badminton, billiards, dart and bowling. I picked darts and billiards and our team eventually won the game. Before the our dinner, we were invited to witness the beautiful sunset that is best to be viewed at the Pico de Loro Chapel. Here they say you can both have the view of the sunrise and the sunset. On the next day, the organizers scheduled a tour at Santelmo Cove. It sits just besides Pico De Loro and can be reach either by an hour of trek or a quick 10-minute cruise. We decided to pick the latter to have more time at the beach. Santelmo Cove is one of Hamilo Coast’ 13 coves that are still semi-untouched and can only be used by the guest and unit owners of Pico de Loro. The place is so serene and private. When we arrived, we were the only ones who were in the area. Hamilo Coast set up some umbrellas for cover, placed tables and portable toilets as well for the beach guest to be used. This would be perfect especially if you are planning to have a picnic or lunch by the ocean, which we did. In the cove we were also able to snorkle, swim and bask under the sun. On our way back to Pico de Loro, we were informed that a fisherman turnover a turtle which he catches unintentionally. I was able to see it for myself. 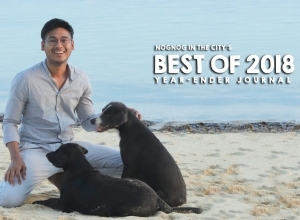 In line with the sustainability development in Hamilo Coast, locals are being encourage to help them with the marine turtle conservation by simply returning endanger species like the sea turtles back to the ocean. 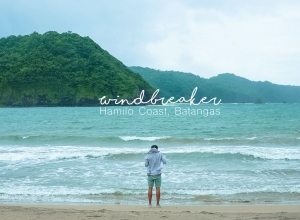 As of the moment, Hamilo Coast have already established a Marine Resource Management for the 3 coves including Etayo Cove, Santelmo Cove and Pico de Loro.Including in this projects are cleaning of the reefs, marine turtle conservation, marine mammal rescue as well as waste management. The management are proud to say that the waste they are producing are now 94% biodegradable. If you are interested to be one of the property owners of FREIA, you would need to be a member of Pico de Loro first before you can purchase. But for those who isn’t a member yet, the management have prepared a bundled price for you. 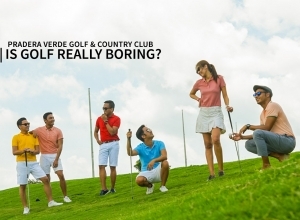 The average price of a unit is around Php 13M, that including the club share. The target groundbreaking of FREIA will be this 2018 and is to be finished on 2021.